Both the CCSP (Certified Cloud Security Professional) and CCSK (Certificate of Cloud Security Knowledge) are individual certifications of cloud security competence. But what is the difference between these two certifications? Here is the elevator pitch version based on my experience (more on my experience below). CCSK is often called the “mother of all cloud security certifications”. This is related to the fact that it tests for the Cloud Security Alliance’s “Cloud Security Guidance”, and has been around since 2010. All other cloud security certifications acknowledge this body of knowledge. In the fall of 2017, this was significantly updated to version 4. CCSK has followed this version early 2018. More here. 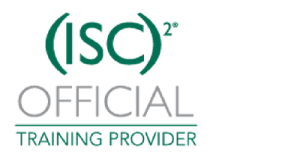 In 2015 the Cloud Security Alliance and (ISC)2 announced a new cloud security certification: Certified Cloud Security Professional or CCSP for short. More info here. This is a more extensive certification than CCSK with a more formal exam and a requirement for 5 years in IT; at least three of which must have been spent in security, and at least one year in cloud computing. That statement has since been removed, though the substitution rule still applies. If you want to choose between CCSK and CCSP, here are some considerations. What is your (prospective) employer looking for? Are they familiar with the certifications? CCSK is currently more practical than CCSP. CCSK is less work and actually a good start towards CCSP. I have produced a simple one page overview of some of the facts, such as exam cost. You can get access to it by signing up to my blogs and occasional information on cloud security training in the box below. I have based the above analysis on my multiple years of experience in cloud training. I am an official trainer for both CCSK (since 2011) and CCSP (since 2015), and have actually contributed to both of them. Enter your name and email to get my regular cloud computing tips, more information on CCSK, CCSP and how to attain it, starting with a one-pager.